Anchors Drop In gives young people access to youth workers and a range of activities and equipment such as gaming, movies, music, pool table, arts, cooking, sport, free WiFi and more. Young people have the freedom to choose their own activities and the amount of time they spend at the centre. They will only be supervised whilst participating in the centre. Please check the Activity Key for further information. 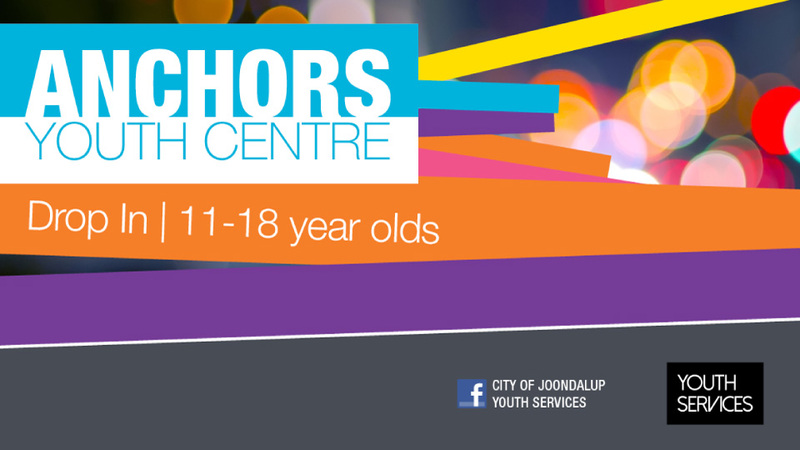 For more information call Youth Services on 9400 4228. *excludes Christmas & New Year period.